Goodridge brand new developed G-Flex 511 hose is a revolution within our industry. 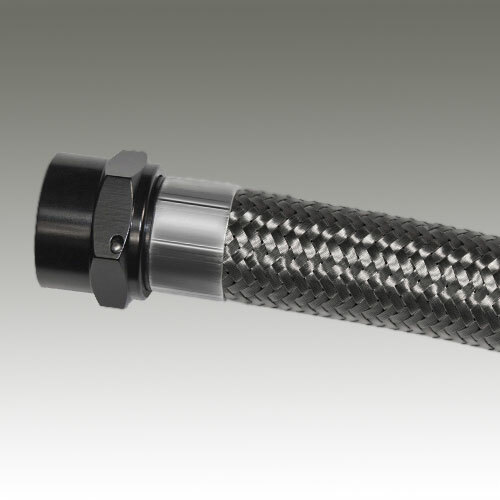 Constructed of a fully crimpable, convoluted PTFE core with a carbon impregnated static dissipation liner (impervious to virtually all chemicals) and covered with high tensile 304 stainless steel braid, G-Flex hose is the lightest, most durable, flexible crimpable convoluted hose available. SAEJ1737 compliant and compatible with all fuels, including methanol, alcohol and E-85. G-Flex hose is the choice for current, and future champions. Material/Construction: Anti-Static, PTFE convoluted, stainless steel fibre braid. Goodridge brand new developed G-Flex 711 hose is a revolution within our industry. 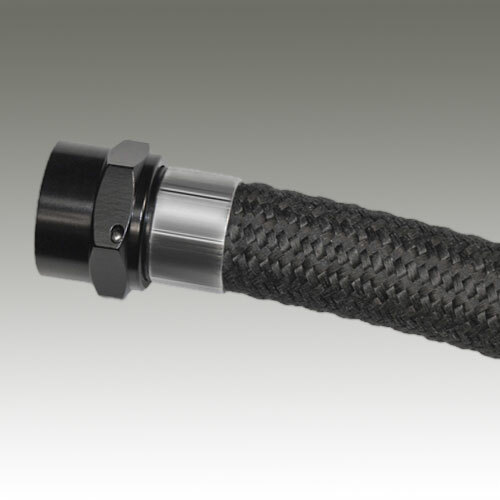 Constructed of a fully crimpable, convoluted PTFE core with a carbon impregnated static dissipation liner (impervious to virtually all chemicals) and covered with black aramid fibre braid, G-Flex hose is the lightest, most durable, flexible crimpable convoluted hose available. SAEJ1737 compliant and compatible with all fuels, including methanol, alcohol and E-85. G-Flex hose is the choice for current, and future champions. Material/Construction: Anti-Static, PTFE convoluted, Aramid fibre braid.